What are you interested in? Although some teachers may assign you a specific topic to research, sometimes you will have to choose your own. If this is the case, think about what you are interested in and would like to know more about. Research can be fun when you are learning about something that you are passionate about. Is there enough research available? Briefly check some sources to make sure that there is enough research available on your topic. If you have a difficult time finding sources, your topic may be too narrow. Ask for suggestions. If you cannot find a topic to research, ask your teacher or a professional for help. They will be happy to guide you! Noodle Tools – Noodle Tools is a comprehensive web-based program designed to help you with research, including online note-taking, outlining, writing, and citations. Logon to your Noodle Tools account. Click on the “Create a New Project” button. Click next to “Research Question” and type in the question that you are trying to answer with your research. Click next to “Thesis/Main Claim/Hypothesis” and write a sentence or two that summarizes the point of your research. Make a list of what you would like to know about your topic. If you have been asked to write a short paper, fewer details will be necessary, however, for a longer paper, you will need to include more. Click on the project Dashboard. Locate the “Components” section and click on “Paper” to open a Google Doc. Brainstorm and create a list of the questions you would like to answer with your research. Now that you have a list of questions to answer, you are ready to begin your research. You can investigate your topic in many different ways. Do your best to find information from five or more sources. It is never a good idea to limit your research to only one or two sources. Lakeview’s Library and Online Databases – Books, journals, newspapers, magazines and websites full of good information. Empirical Research – Articles, books, and journals written by experts in the field. Internet Websites – Websites found through the use search engines such as Google or Bing. Interviews – Visit experts and/or eye witnesses for some keen insight on your topic. One of your first stops in your research quest should be Lakeview’s library and online databases. Below is a guide on how to find links to these resources. Go to the Lakeview Academy website at www.lakeviewacademy.com. On the “Academics” tab, select “Technology” at the bottom on the drop down menu. Select “Destiny Library & School Database Link” from the “Important Links” list. Use the search tools within these links to search for books and database websites about your topic. Empirical Research – It is a good idea to find information about your topic written by experts in the field, if you can. These sources may include journals, scientific papers and/or magazine articles. To search for these, you can use Lakeview’s library system or a specialized search with a search engine. Continue to select “more” and “even more” at the bottom on the menu to display additional apps. Select “Advanced search” on the Google Scholar’s web page. Customize your search with the advanced search options. Use broad search terms in the beginning so that you don’t miss any potentially helpful sources. You can narrow your searches using more specific search terms as you go along. Be careful to evaluate these websites in determine if the information is trustworthy. Usually websites that belong to schools, organizations and the government will be legitimate. These have web addresses with domains that end in .edu, .org, and .gov. Interviews – If you have the opportunity to meet with an expert or eye witness who is knowledgeable about your topic, then this primary source information would be a an excellent source. Prepare your questions in advance of the interview to guide the conversation. As you research and gather information about your topic, you will want to create notecards to help you stay organized and remember key points. The virtual notecards you can create with your Noodle Tools project account will help you take accurate notes and annotate your sources. To use Noodle Tools to take notes, you will begin with the bibliography for your source, and then you will create the notecard and link them together. In this way, you will be able to keep track of your sources and avoid accidental plagiarism. You should create a minimum of one set (set = bibliography + notecard) for each of your sources. Click on “Bibliography” on the project’s home page. 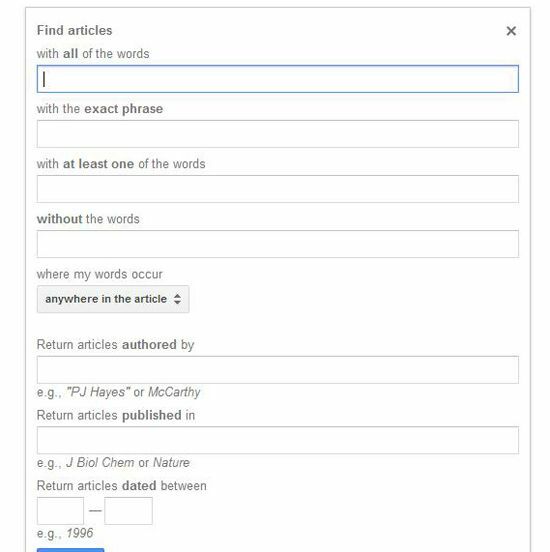 Select the type of bibliography (citation) that you would like to create and then click on “Create Citation”. The format of the citation will vary depending on your source. Fill in the citation information for your source and click on “Submit.” The required fields will be noted with a red*. Click on “Notecards” on the project’s home page. Press the “New Notecard” button on the Notecard page. Fill in the notecard with information about your topic Restate the idea in your own words. Link it to the source’s bibliography (that you just created) to complete the set. To begin the writing process, you should start with an outline. This is a draft of your paper, written with summarized points. Use your notecards to help you map out your thoughts in coherent form. Try to come up with a thesis sentence for each paragraph and bullet points of supporting facts you wish to discuss or find. Create your outline in Noodle Tools on the Notecards page. Start writing with what you know. Start in the middle of the paper, if that’s the most helpful to you. A lot of people actually end up writing the introductions last. Make sure you keep citations in your paper so you can go back and properly cite them later. Click on “Paper” on the project’s home page. Write your paper in the Google Doc for your project. Take a day off (or as much time as you feel comfortable) and look at your draft with fresh eyes. Try to read your paper as if it was a stranger’s. Read your paper aloud and see what sounds good and what doesn’t. If you are allowed, you should ask a friend to read it and freely edit it for you. Make sure that that does not violate the rules of your assignment. Passive voice (ex: The cook is using too much garlic” is not as strong as just saying, “The cook uses too much garlic”). Once your have finished writing and editing your paper, it is time to create the credits page. This page should include the list of all of your research sources. Because you created bibliographies when you took notes in Noodle Tools, this step is quite easily accomplished. Click the button “Print/Export” and choose from the drop down menu how you would like for your credits to be downloaded. Noodle Tools will automatically format your bibliography for you.